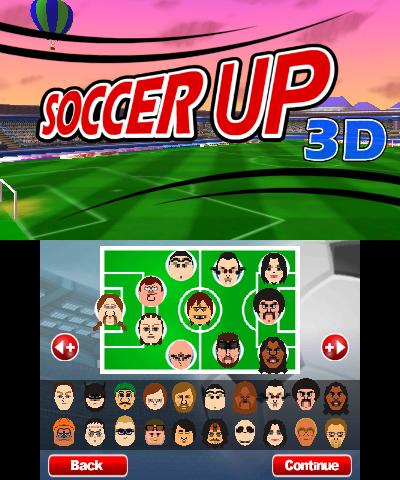 EnjoyUp Games has announced that Soccer Up 3D will be released on April 11, 2013 through the Nintendo eShop for the Nintendo 3DS. goalkeeper and score a goal! the goal. Become a soccer master and make your rival defenders tremble! 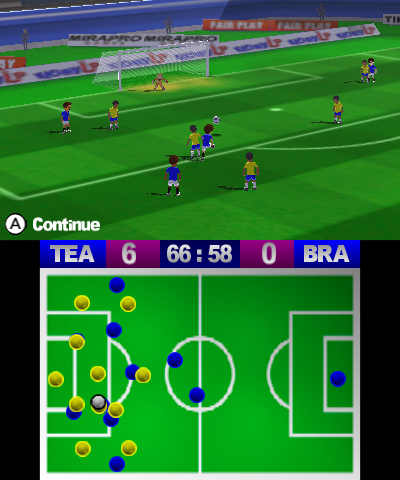 * Send the complete Soccer Up 3D game using the Download and Play Mode. * Create your own teams using your Mii characters. * 2 Player with a single game!!! * Free Control Ball, the ball has inertial free movement. * Total control of height, direction and effect in each pass and shoot you make. * Play the World Cup! contribute with new and fun game forms. 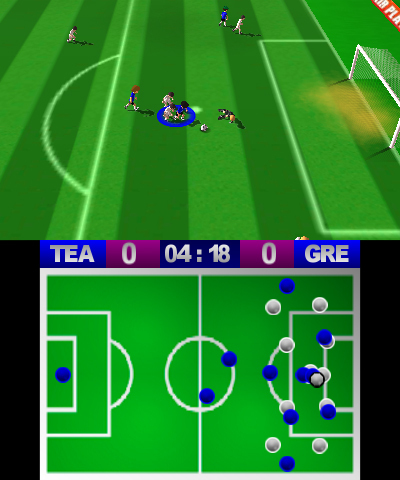 were the action runs on two screens at once with a new concept of time.